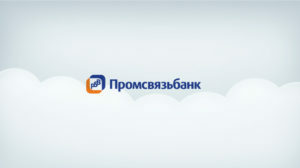 Russian Promsvyazbank customers now have a specialized tablet app for access to the mobile banking services. PSB-Mobile app for tablets allows its customers to use majority of the existing online banking features such as – card management, card ordering without visiting the bank, creating accounts for cash transaction and deposits, paying bills, taking loans, currency transfers and conversions. App is connected with the user’s information where it retrieves information for money transfers. App allows adjusting daily and monthly limit for transactions, as well as some additional features such easy paying option for taxes and fees and creating templates for recurring payments (phone and Internet bills). App allows bonus points review (PSBonus), account status and better planning of the monthly budget (by Smart Money function). PSB-Mobile app can be personalized according to the users’ needs. With changing the look and manner of financial information, the app can be fully adapted to the specific needs of each user. The ability to upload user profile pictures is another form of personalization which gives personal touch to it. PSB-Mobile is a solution which connects two, so far separate worlds – functionality that brings desktop version of the online bank and portability offered by mobile phones, with significantly better visibility on the bigger tablet screen. The new Promsvyazbank application portrays innovation and enabling its customer’s access to the additional financial services. Yet another evidence of iBanking exceptional flexibility on which the solution has been based with the ability to offer tools to the bank to create new and innovative digital banking channels. NF Innova, iBanking solution developer, implemented the tablet app together with its partner company in Russia called Technoserv Consalting. PSB-Mobile is a free app available for download from the iOS App Store and Android Play Store.